For young children, the starting point is often developing their ability to engage and respond to others, for this we use the DIR® / Floortime™ Model developed by the late Dr Stanley Greenspan. a comprehensive assessment and report to individualise a program to provide the most suitable interventions for your child. targeted interventions to help your child develop skills and strategies, based on the key areas of priority for your child, identified through the assessment process. Intervention areas commonly include working on Sensory Processing, Play Skills, Motor Co-ordination, Daily Living Skills such as toileting and helping picky eaters, Learning Skills, and Social Skills. regular opportunities to reflect and measure progress. We believe in developing a family centred partnership, working together to help each child to develop skills and strategies, and enjoyment in participation. At Grow On Children’s Occupational Therapy, we have developed an educational and planning resource: Occupational Therapy and Autism – Partnering with Parents that is provided to families of children with ASD when they enter our service, and used throughout intervention sessions. This workbook is used alongside therapies to record and track goals, key learnings, reflection points and to provide a written source of information to compliment all that is discussed during intervention sessions. At the end of the therapy program, we want parents and carers to able to look back and celebrate the progress that their child has made, and feel confident that they have the tools and support to help them in the future. Does your child need autism treatment on the Gold Coast? Grow On Children’s Occupational Therapy may be your answer. Children can be diagnosed with autism as early as 18 months. Whether your child has just been diagnosed or you are looking for a new place for your child to receive occupational therapy for autism, Grow On Children’s Occupational Therapy can help. We’ll work with you and your child to help them learn essential social and development skills in an engaging and fun way. Here are some of the benefits of working with Grow On Children’s Occupational Therapy. We’ll work closely with your child to identify their specific challenges and create a treatment plan designed to help them overcome their obstacles and lead their best lives. Learning to Play. 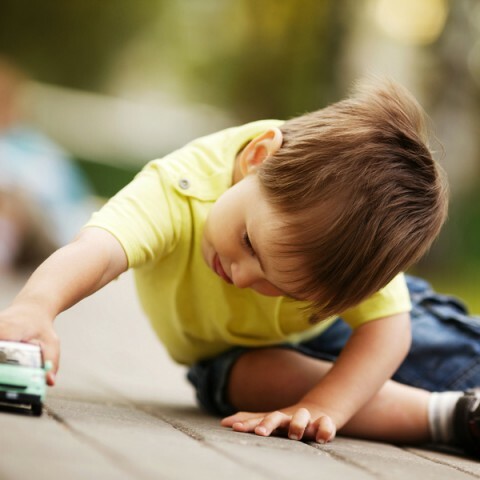 Play is a vital component of a child’s social and academic development. We promote learning through play – the best way for almost any child to learn. Friendship and Social Skills. We can help make it easier for your child to relate to others and make friends. Feeding Difficulties. Eating can be a complicated issue for children with autism. We use evidence-based therapies to help kids learn to broaden their culinary horizons. Sensory Processing. Children with autism frequently have sensory processing challenges. We can help make the world a little less overwhelming. These are just a few of the ways we help kids with autism and their families. Contact us to find out more about our services. At Grow On Children’s Occupational Therapy, we provide effective children’s occupational therapy to equip kids with essential life skills. Our extensive knowledge of child development, thorough understanding of Children’s activities and roles, and family-centred service model allow us to offer the best possible therapies. We’ll keep you informed and involved every step of the way as your child learns new skills and strategies to help them build confidence in themselves and become more comfortable with the world around them. What we love most about our jobs is seeing the difference we make when a child not only enjoys the time we spend with them but also benefits from it in meaningful, lifelong ways. If your family is faced with the challenge of autism, contact us today for assistance.